This site contains information about Solitaire Card Games. 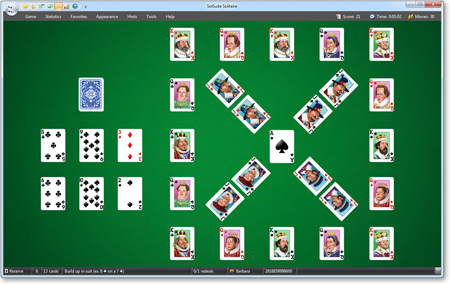 Solitaire games, also known as Patience in Britain, are card games for a single player. In this site you’ll find information and the rules of some of the most popular solitaires: Spider Solitaire, FreeCell, Klondike, Pyramid, Canfield, Golf, and many others.